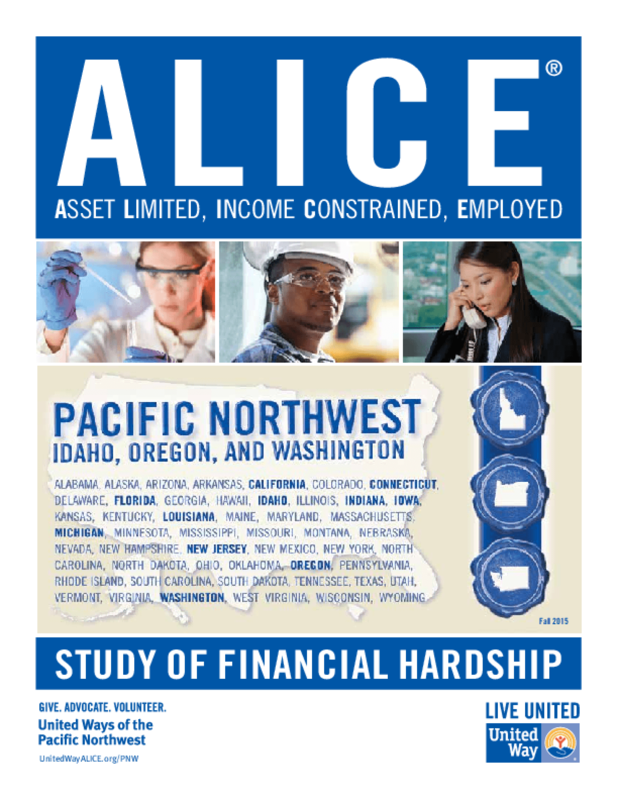 Through a series of new, standardized measurements, the United Way ALICE Reports present a broad picture of financial insecurity at the county and town level, and the reasons for why. What we found was startling -- the size of the workforce in each state that is struggling financially is much higher than traditional federal poverty guidelines suggest. The United Way ALICE Project is a grassroots movement stimulating a fresh, nonpartisan national dialogue about how to reverse the trend and improve conditions for this growing population of families living paycheck to paycheck. Copyright 2016 United Way Worldwide, United Ways of the Pacific Northwest, United Way of Northern New Jersey.